Been a while i am not doing my blog here, been busy, many stuff to do and somehow i really need huge idea to writing. 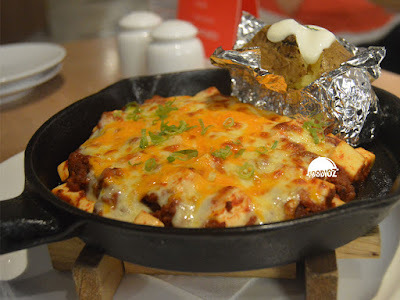 Now i would like to back in track, i am going to mention about one restaurant at Grand Indonesia mall. Slice Of Heaven. I went there at April 2016 during lunch time, actually i was not feeling well that time. Been fever and my head kind of cracking. But i did sure gain my last spirits to have culinary hunting that time. Slice Of Heaven is spotted at 5th floor, not such a huge sign at front, but it has bright blue color with fancy letter should be visible while pass through it. Inside the restaurant, it has color theme, wooden, and soft white also cream color. During lunch time, it was really crowded, and there was only left one space for me. Once get on seat, waitress approached and she just handed the menu with not really friendly act though. It took me quite time to look at the menu with many various of foods and since it is first time in here, but then waitress was really rushed me to pick any food. 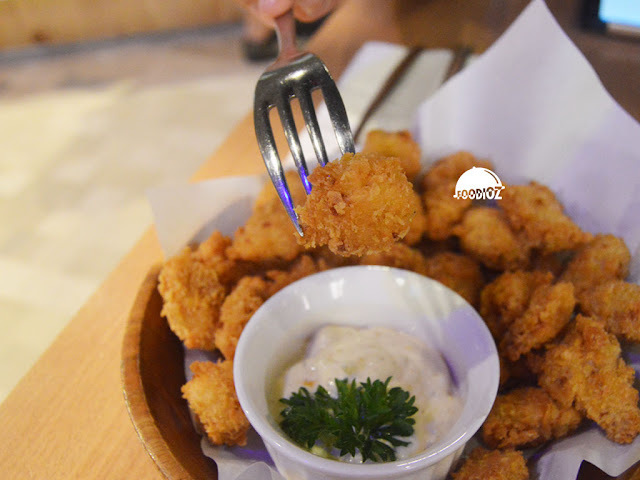 At last, i have the Chicken Popcorn for the appetizer. Well good thing is they do serve really fast. 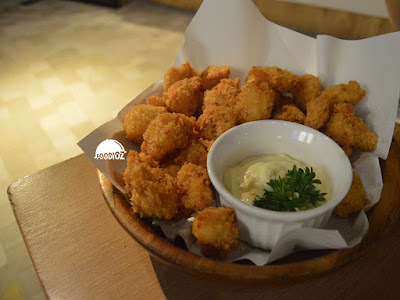 The Chicken Popcorn sure have stunning presentation and it is good! Crunchy texture with convenient little ball size, fit enough for one bite only. I think this is really good meal while watching TV at home. 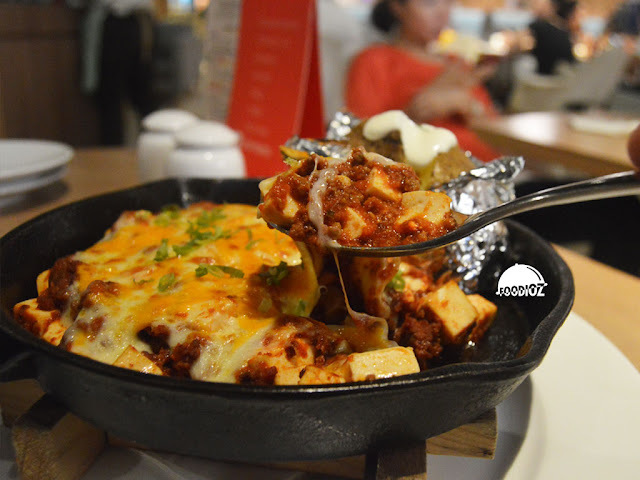 For the main course, i was have the Tofu Beef Cheese. It is one of popular dish in this restaurant. I am agree with it though. From the top, dish sure beautiful. Golden mozzarella cheese covered up the minced beef and tofu down there. Some people said it is too salty, but since i am salt and sour lover, i think this one could be recommended. Beef cooked well done and it has perfect seasoning. Don't forget the boiled potato absolutely matched dish to have along with this. As for dessert, i have one of happening dish in town is Honey Bread. As here, they also serve various of honey bread with glorious ice cream. For this time, i choose Honey Bread Macha which is green tea. It has gorgeous plating, huge honey bread topped with green tea ice cream, red bean paste and there's a rich cream aside the bread. On the shield we would found the crispy texture of bread, but surely there's a really soft and moist part inside it. 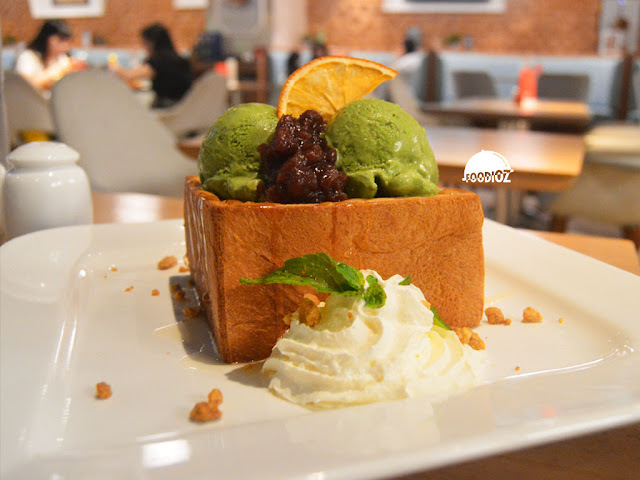 I do really love it, milky and rich flavor much perfect with the green tea ice cream.